Going back to the event you will see a list of people who have confirmed the invite, or those who haven’t yet responded to the invitation yet. You’ll also find an additional option under the invitee list called “Available Meeting Times” which provides a timeline based on when the recipient is available. 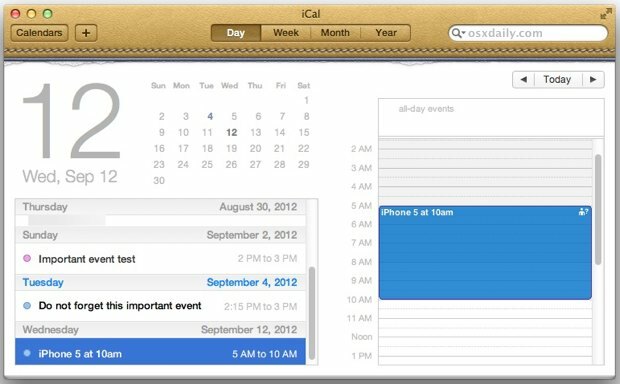 If they share a calendar with you everything will be visible, otherwise just suggested meeting times will be visible. 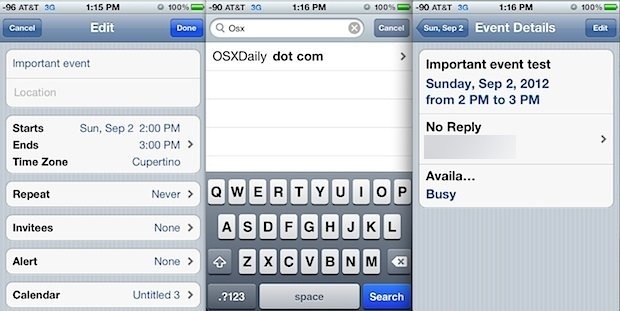 As usual, all of these dates and times will sync automatically between your iPhone, iPad, iPod touch, and Mac OS X calendars as long as you have iCloud set up properly. The only potential downside to Calendar invitations? There will be no excuses for anyone to forget an event, be it date nights or those boring Thursday morning meetings. I’d really like to see the article actually talk about the service or protocol this feature uses, the potential downsides, compatibility issues? Please add some value. As it stands this article may as well be a feature list of the Calendar app found on Apple’s site. I have to agree with Steve on this. Additionally I would add that I am a die hard Mac fan and was excited to be using iCal or Calendar at work. Im not now. It has to be the most unthought through program Apple has written or put their name on. I know there are some that use it personally and love it as I did with my handful of weekly reminders or “events” and thought it to be decent. But for anything small to mid-size I wouldnt even consider it. And companies over 100??? Buy and shoot yourself first its a lot less painful. Weird, I actually miss Outlook. My biggest barrier to adoption is a history of this app failing to play nice with ms outlook. Granted ive not tried in over a year, but this is solely due to the great headaches the calendar app has caused me in the past due to meeting invites not getting received, confirmations not getting received and frequent double bookings with coworkers using exchange/outlook. Would be great if you could update the article with some info on the app’s current capabilities and/or fixes to interact with outlook. It doesn’t at all cover how the invitation gets sent and who can accept it and in what apps. I’m sure it’d work as advertised if the entire world uses OS 10 and iCal. However, real world usage here is a different experience. It seems like people with outlook can’t accept or see these at all? 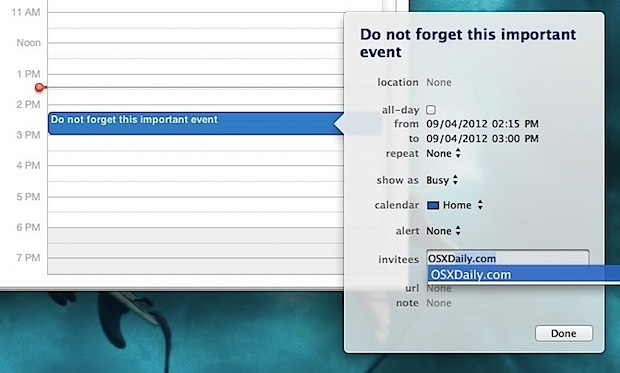 Yes, this article is for Invitations and Reminders in iOS and OS X. Not Outlook. Did you miss that part?